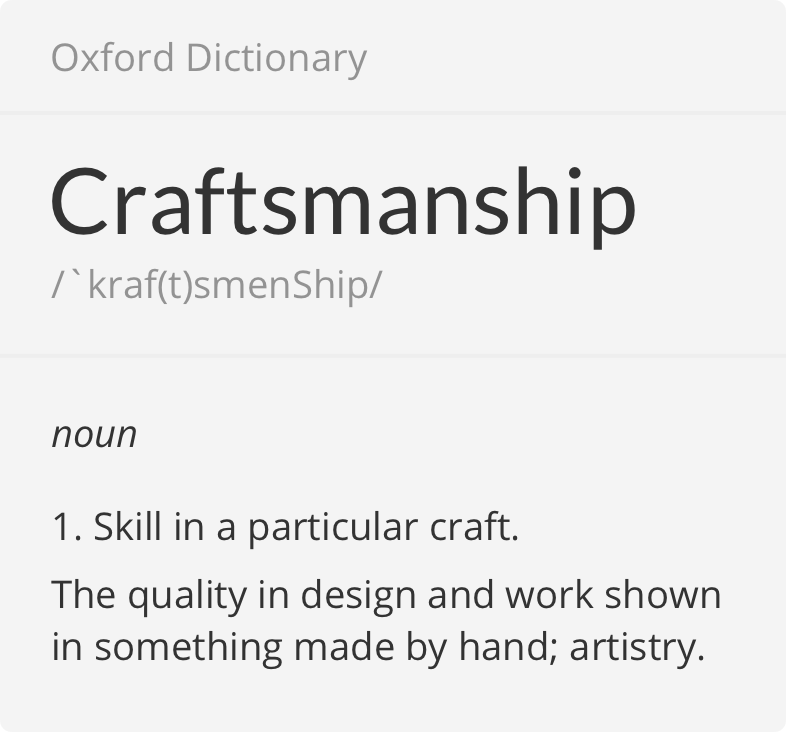 The word 'craftsmanship' is often overused and misunderstood. Position USA's interpretation of the word goes a step further than the Oxford definition provided here. At Position USA, we believe that craftsmanship is the dedication to the quality of design and work shown in something made by hand that, due to the relentless pursuit of perfection, will never be so. Dedicated artisans are hunched over their station like a watchmaker, paying attention to every small detail. The process for each pair of shoes from start to finish takes over a day to complete. You will see a gentleman named Roberto, whose father carved wood heels for over 25 years. To this day, Roberto uses his father's shaving tools and sander because it's been worn to perfection giving the grain a 'one-of-a-kind' finish. Roberto's masterful cracked hands are covered in wood dust and stain from repeating this process for over 20 years. He cuts and carves the most unique and important components of the final product. Next to Roberto is a man named Raul, whose job is to stretch the leather hide over shoe lasts (molds). The process takes time, but he creates a perfect tension in the hide resulting in a shoe upper that is malleable, yet durable. Down the line from him is Marisol, whose mother and grandmother worked in the sewing factory down the street. Her watchful eye currently oversees the stitching throughout the leather hide on shoes ensuring that the product comes together in a beautifully orchestrated way. There is an element of art occurring every day in the production of our shoes. At Position USA, our goal is impossible to reach but we will never stop working with our craftsman and craftswomen to improve our process, our materials and ultimately, our end product of a 'perfect' weightlifting shoe. Four and a half years into our goal, we stand by our definition and our dedication to craftsmanship. When you purchase Position lifters, not only are you buying a little bit of history or a sample of what lifetime dedication looks like, you are purchasing a piece of art...a handcrafted, functional piece of art that was made for one purpose and for one person only, you.